Veterans: Learn all about Madison WI and Dane County condos approved for VA loans. Search for VA-approved condos in Madison and throughout Dane County. Then contact a VA condo lender. Brought to you by your full-service buyer specialists at DaneCountyMarket.com. You can identify Madison and Dane County condos approved for VA loans by visiting this web page from the Department of Veterans Affairs. Once you have found some condos approved for VA loans it is time to use the search tool. Once you’ve found a condo development of interest to you, use our property search tool to find available units listed on the MLS. Search by condo/building to target your search on the association that is of interest to you. 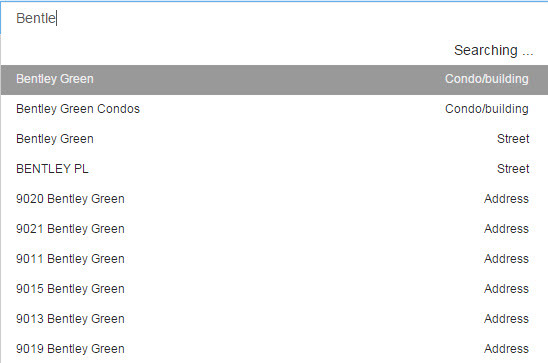 The image below provides an example for the Bentley Green Condos, which are currently VA-approved. Selecting “Bentley Green” will return the following screen. Note: If you want to unlock some additional listing data (Days On The Market, Offer Status, Price Change History) you can learn more in this article. Please feel free to contact us with questions. We’re happy to help. If you’re looking to learn more about all of your condo financing options, we can put you in touch with a quality lender who specializes in the condo market.